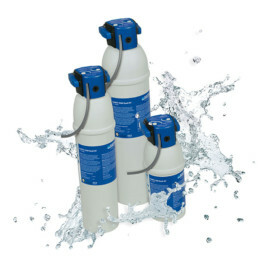 WaterCare stock an extensive range of BRITA Professional water filter cartridges, housings, filter heads and fittings. PURITY AquaQuell filters are synonymous with reliable prevention of limescale build-up, safe removal of unwanted tastes and odours, and consequently with optimal product quality and long, maintenance-free machine running times. The 4-stage filtration in the PURITY AquaQuell range prevents limescale deposits and ensures consistently high water quality. 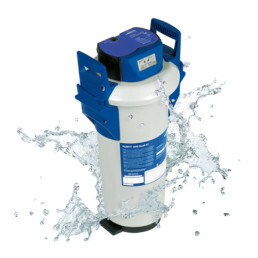 Consistent water quality over the entire service life of the filter and reliable removal of unwanted tastes and odours ensures exceptional quality and a unique taste for hot and cold beverages. Applications: For coffee machines and vending machines. Produces the finest optimised water, with its ideal mineral composition, releases the individual aroma of each espresso from the ground coffee. This supports the development of the authentic espresso taste, the way experienced baristas like it. Technology: Reduces water hardness, chlorine and other impurities. Available Products: AquaQuell Purity C150 | AquaQuell Purity C300 | AquaQuell Purity C500 | Replacement cartridges, filter heads and flow meters. Brita, nothing but the best.